Local Tool was established in 2002, with our first branch opening in Cricklewood which is now the head office. Over the years we have been honoured to work with some of the biggest construction companies both independent and corporate level. From our hire desk team to delivery drivers, we work hand in hand to ensure client satisfaction. Service in the hire industry is of a paramount importance, our company’s ethos “what you want when you want”, is a true reflection of this! Service in the hire industry is of a paramount importance, “getting what you need and when you need it” is exactly what the people want. Local Tool Hire Ltd, like many independent hire outlets, do not specialise in any one item or product, in order to provide a complete service we carry a comprehensive plant range with each item being carefully selected for its versatility, durability, reliability and safe ease of use.The Tool Hire Company that's flexible to your needs. 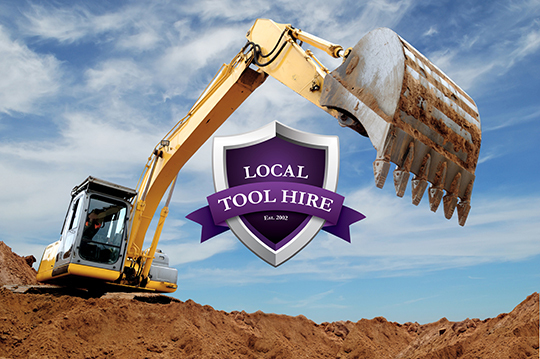 Dedicated to the rapid supply of tools, plant and small equipment and allied services, Local Tool hire Ltd enjoys a position at the very forefront of the tool hire industry. Well-established and highly respected With an enviable pedigree and exceptional service record Our origins go way back, rooted in several high performance tool hire businesses all of whom were established leaders within their respective regions. Today (and for several years now! ), we have been proud to operate as one coherent "whole" with a strong, established London network Covering All of London for Tool Hire and Plant Hire • one of the youngest, most comprehensive fleets in the hire industry Highly competitive rates and a service which is second to none.